The idea of doctor frequently operating on the wrong body part sounds like a crazed notion of medical malpractice lawyer. But it happens more often than people would think (or hope). The Joint Commission on Accreditation of Healthcare Organizations reports approximately nine voluntary reports a month of doctors operating on the wrong side of the patients. But the Archives of Surgery believes that wrong site surgery is drastically underreported, estimating between 1,300 and 2,700 wrong site surgery a year. 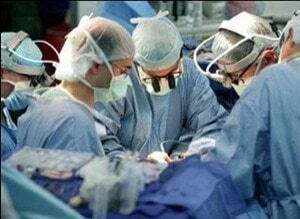 Twenty percent of hand surgeons concede they have operated on the wrong site at least once in their medical careers. Many instances of these wrong site surgeries the result of surgeons not doing what they should do get straight what operation they are performing and where they are performing it. Surgeons are required to do the obvious: verify the surgical procedure to be performed before cutting into a person. Surgeons should also mark the surgical site in advance of the operation and do one last “make sure” in which other members of the surgical team ascertain they have the right patient, the films are correct, and that the medical records and diagnostic test match the marked surgical site. Most patients reading this website are not getting ready for an operation. Something usually bad has happened and they are looking at their legal options. But on the off chance that you are preparing to undergo an operation, there are things you can do to make sure you are not the victim of the malpractice of a surgeon operating on the wrong body part. You can make sure the surgeon himself/herself marks the surgical site, requiring the surgeon to check the site himself. The problem, of course, is that most of us think this will never happen to us or do not focus on this issue in the exigency of getting surgery. As you might expect, wrong-site surgical malpractice claims typically very viable malpractice claims. Approximately 30 percent of medical malpractice case end in a payment. Wrong-site surgery cases lead to payment in 84 percent of malpractice lawsuits filed. If you are the victim of wrong site surgery or other surgical error, call our Maryland malpractice lawyers at 800-553-8082 or click here for a free no obligation malpractice consultation.